This Scholarship recognizes those who are working to better the lives of our customers, students who are pursuing a degree in the medical field, with a prize of $1000 toward college tuition. This scholarship is awarded annually to one submission that tells about an inspiring act of kindness. AvaCare Medical judges will choose five to ten finalists, whose work will then be posted on our website. Voting will be open for a limited time on the scholarship page, after which the winner will be chosen by our judges based on multiple factors including, in part, the number of votes. 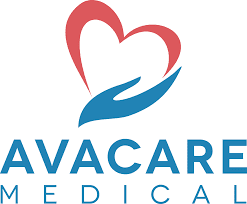 There is no application form from AvaCare Medical. All you need to send in is your project, a transcript, and the information listed below. Your application, transcript, and information can be sent either by mail or by email. The winning candidates will get a prize of $1000 toward college tuition. All projects must be received no later than December 15, Annually.